Normocephaly Explained: What is a ‘Normal’ Head Shape? Normocephaly is the term used to describe a normal head shape, one that has normal dimensions and proportions within the population. The factors that determine what is regarded as ‘normal’ vary with social and cultural values such as gender, age, ethnic origin and rank in society. However, naturally, the normal head shape when viewed from above should look similar to an egg, slightly wider at the back than the front. The ideal is thought to be 20% longer than it is wide and there should be no asymmetry or difference between the left and right sides. There are around 7.5 billion people on the planet and each and every one of us is different. Although this is something to be celebrated, with evidence to suggest that misshapen skulls are linked to health issues such as visual defects and developmental delay, it’s important to know how to recognise what can be termed as a ‘normal’, healthy head shape and what treatment can be put in place for babies suffering from skull shape deformities. What can cause an ‘abnormal’ head shape in babies? During infancy, a baby’s skull is relatively soft and mouldable. This allows the baby to pass through the birth canal and into the world, while also allowing growing room for the brain to develop during childhood. Although there are many positives, this flexibility can leave the head vulnerable to skull malformation if not properly managed. There are several reasons why the skull may flatten. However, the main cause for flattening is lying for too long in one position. 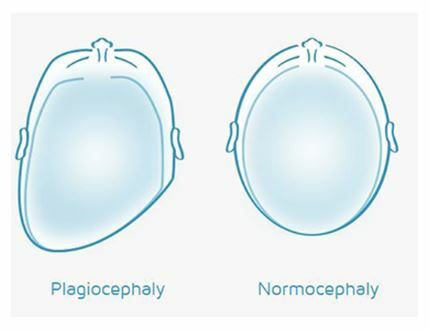 A flattening, known as plagiocephaly, is a relatively common condition which affects around half of all babies under the age of one to some extent. Many of these self-correct, but 1 in 25 babies have a severe head shape deformity. Flattening of the skull can be ranked from mild to severe and there are different ways of determining just how severe a deformity is. To rank your baby’s head shape visually, try using our Plagiocephaly Severity Assessment app, where it is possible to directly compare your baby’s head shape with the outlines of other babies’ heads of a varying degree of ‘normality’. If you prefer a more personal approach, or wish to find out more about your baby’s online assessment results, it is best to contact one of our professional and experienced clinical orthotists who can discuss any queries in more detail. What to do if your baby appears to have plagiocephaly? 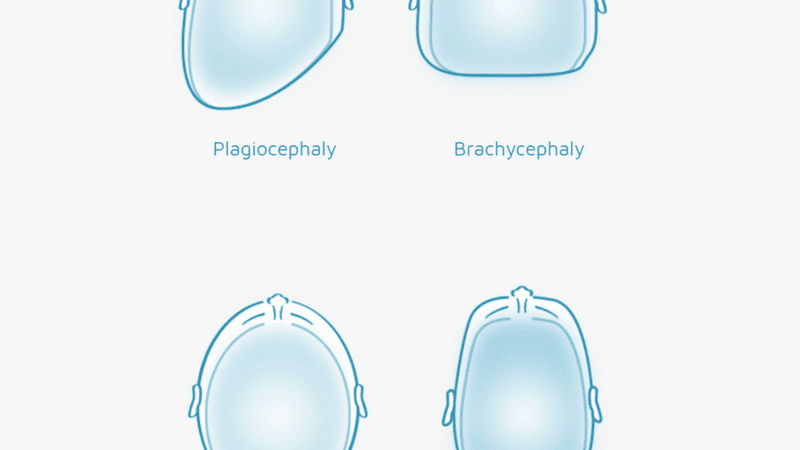 There are several stages of plagiocephaly intervention which can be followed to help improve a deformity. Usually, the skulls which show a mild form of flattening do not require any more than repositioning to make sure that this doesn’t get any worse. You can find information on this in our repositioning guide. If there is moderate to severe skull flattening, a helmet similar to the TiMband can be prescribed to allow the head shape to gently and naturally grow back to a normal shape. However, taking your baby for a plagiocephaly evaluation should be the first action taken, as this will help to determine how severe the flattening is and which treatment would be most beneficial. All of the assessments we conduct and treatments we offer at Technology in Motion are conducted by trained professionals and are completely pain free and safe. If you would like to find out more about plagiocephaly treatment, or would like to make an appointment at a no-obligation plagiocephaly evaluation, call Technology in Motion today on 0113 218 8030.